Dr. William Lloyd Randall, Jr.
Rev. William Lloyd Randall, Jr., a native of Texas, specifically the LaMarque/Texas City, Texas community. He has completed extensive theological study at the College of Biblical Studies in Houston, Texas, formerly known as Houston Baptist Institute. Pastor Randall is a 2009 graduate of Dallas Theological Seminary where he received his Master of Theology (ThM) degree, and a 2017 graduate of St. Thomas University where he received his Doctrine of Divinity (DMiN). Pastor Randall announced his call to the ministry in March 1983 and preached his first of many sermons at Greater Bell Zion Baptist Church under the leadership of the late Rev. Z. Phillips on April 8, 1983. He served faithfully at Greater Bell Zion until God called him to pastor the Greater St. Matthews Baptist Church (GSMBC) family in 1990. Pastor Randall labors tirelessly at GSM where God continues to bless that ministry with new souls for the sake of the kingdom and new ministries for those members to exercise their gifts for God. He believes his members are to be movements and not monuments. For 19 years Pastor Randall worked as an educator in the public school system as he pastored GSM for the last 12 of those years. In 2002, God called him to serve in full time ministry at GSM. The anointing that rests on Pastor Randall has allowed the GSM family and the Galveston County community to be blessed by this giant of a servant. Pastor Randall is also the founder and president of Randalls Ministries, a non-profit ministry designed to sponsor conferences and special events in an effort to help Reclaim, Rebuild and Restore God’s People. He has been the recipient of numerous awards and is a life member of the NAACP. To Bearfruit for the Savior. Sis. Randall has been an educator in the public and private school systems for many years. 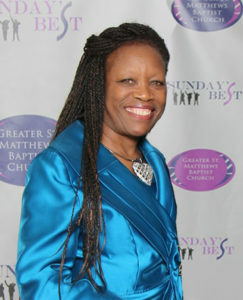 As much as she loved teaching, God chose to move her from the public-school system to Greater St. Matthews Baptist Church, where she serves as the Church Administrator alongside her husband in the development of various ministries for the sake of God’s kingdom. Sis. 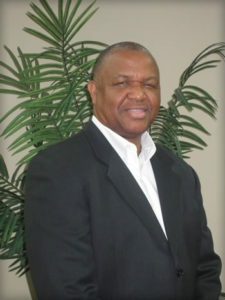 Randall also serves as Vice-President of Randalls Ministries, a non-profit ministry organized by the Randall’s in 1995. This ministry is designed to expose individuals to the power of God to Reclaim, Rebuild and Restore God’s People. In 2010, the Lord directed Sis. Randall to begin a Summer Enrichment Program (SEP) for students in the Galveston County and surrounding areas. The program has flourished into an amazing summer camp for youth 1stthrough 8thgrade.